The outdoor matches are played on Sundays and the indoor matches are played throughout the week. The match dates can change, in which case your teamleaders will let you know. If you play matches with us you will be signed up with the KNVB. 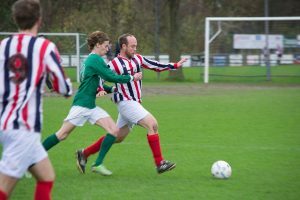 Take into account if you have played in a Dutch KNVB team before the transfer takes a bit longer so you need to sign up in time!